I own a Business in India. What are my Options in the United States? If you own a business in India that you have worked in for over one year you may be able to obtain an L-1 non-immigrant visa by opening an office or new business in the United States. After having held an L-1 visa for one year you may then be able to apply for a "green card" as an international manager or executive through the EB1-C program or at any time through the EB-5 program. Additional options may exist depending on your circumstances. D&A has helped small and large business from multiple industries from locations across India successfully obtain L1-A and Direct EB5 visas. Our clients see us as the "go to" US law firm in this area. 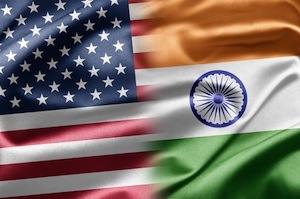 Many of our clients are Indian business owners, investors and executives looking to obtain access to the US market. We assist our clients with their plans to both expand their existing businesses in the United States and establish new businesses in the United States. Investors with either $500,000.00 or $1,000,000.00 to invest may be able to qualify for an EB5 visa. We are experienced at guiding clients specifically looking for Indian investor visa through the EB5 immigration maze. While there are many issues that have to be addressed when applying for a visa, in our experience a common issue with Indian applicants is the ability to prove the source of the invested funds. We also caution all potential EB5 investors to be extremely cautious when choosing a regional investment center to work with. More information on the EB5 visa process can be obtained by clicking here. Can Indian Nationals Currently Obtain an E2 Visa ? 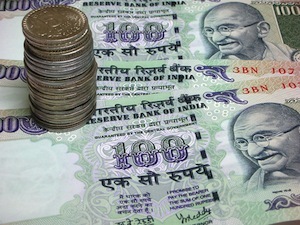 E1 and E2 visas are not currently available to Indian nationals. We have worked with Indian clients who have obtained a third country nationality and then qualified for an E1 or E2 visa on that basis. A list of qualifying nationalities can be found by clicking here. While E visas are non-immigrant visas they can entail significantly less investment than an EB5-based green card application. E visas do not have the requirement that L visas have for the continued operation of a qualifying business outside the United States. Can my Spouse and Dependents Work in the United States? The ability of your spouse or children to work in the United States depends on the type of visa you obtain and the specific facts of your case. The table below outlines the GENERAL position in relation to a trailing spouse but is NOT intended to provide specific legal advice. EbB-5 visa initially issued for a conditional two year period. 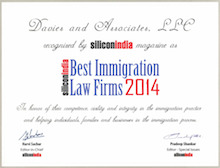 Why Should an Indian National Choose Davies & Associates as their US Immigration Lawyers? Understanding. For over fifteen years we have worked with Indian nationals and understand their needs and culture. Location. While much of your paperwork will need to be filed in the United States, some of it may need to be filed with your local consulate in India. Through our locations in the United States and India we maintain a presence in both locations and are ideally positioned to assist you. Excellence. Given our knowledge and understanding of Indian clients we are able to craft unique solutions narrowly tailored to meet the needs of Indian nationals. We believe we produce the very best immigration solutions available. Results. While there are never be any guarantees, to-date no visa application we have prepared has ever been denied.